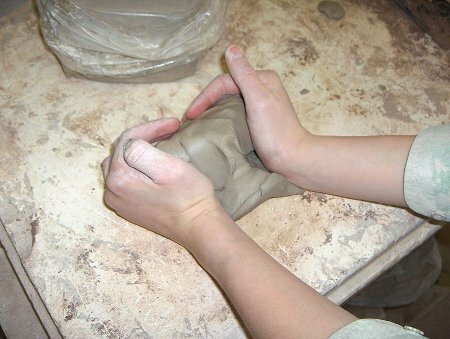 When you knead clay, you have a direct experience of what you are doing. You feel the clay on your skin, its resistance and its smell. But there is more to it than just senses. Action equals changing something here in its very physical appearance. What you do and think is embodied and takes place in the physical world. Technology in contrast is often very different. Devices need interfaces, enabling you to communicate with it. There is no unified experience. Input and output can be in different places and different times, feedback is not necessary immediate. Good designs simulate the unified experience of the physical world, but the communication between us and the world of technology needs to be carefully crafted, the media does not support it in a special way. The difficulties start not with digital technology. Appointments and schedules are not graspable either. I don't argue that we went horribly wrong with technology. We can learn how to deal with the system, new conventions and ways around pitfalls. Technology enables us to satisfy our needs and help us to solve problems. But I argue that we need to adapt to these things as they don't match our natural way of thinking. But the idea that we are embodied in a physical space and that our interaction with this physical world shaped our brains in nature and nurture is often forgotten or replaced by the idea that we have our bodies to carry our precious brains around to make them access new data. Having in mind that our cognition is shaped by the experience on acting in the physical world can help tremendously to understand design principles: often these rules guide us to mimic what would be present in the real world and that determines our thinking.